It’s no longer secret that we live in a digitalized world. We have things like Self-driven cars, AI robots, flying cars, smart TVs etc. As more and more inventions spring up daily, now is the time to follow the trend and learn as many digital skills as possible to improve your career, earn a better income, reach more audiences, become your own boss and most importantly, become financially independent. The best part yet? Anybody can learn digital skills as long as you have the passion, the willingness to learn and a computer system. You don’t need a degree to learn and start earning big. The reasons below are why acquiring digital skills should be your top priority in 2018. There are jobs and there are good jobs. If you are looking to get a good paying job in 2018, then your best bet is acquiring digital skills. As long as you are good at what you do, there will always be the need for your services. Before, I use to think that there were no jobs so I ended up settling for random, unfulfilling jobs with little pay. This was until I realized the reason why people say there are no jobs is that majority of job seekers are fighting for the same jobs. Now I tell people one simple thing. Acquire one or more digital skills and say bye-bye to unemployment/underemployment. Trust me, I’m a living testimony. Moreso, as the digital world evolves, so will the need for more & more digital skills. So irrespective of your profession, if you are searching for a job or you need to change an unfulfilling job, acquire a digital skill now! Most organizations now know that majority of their customers are on the internet. This is why there is an increase in the demand for websites, digital marketing skills, mobile apps, contents etc. Having one or more of these skills sets you apart from other candidates in the labour market. Even if you have a job, you are more useful to the organization than your colleagues due to your versatility. Also, organizations are downsizing staffs due to automation. People no longer need to go to banks to make a deposit, transfer money, open accounts etc. So in the nearest future, the ones who will be left with jobs are the ones who take advantage of the digital transformation. Let’s face it! You probably don’t like your job either because you are being over utilized and underpaid or it’s not a career-fulfilling job. I was once in those shoes. But when I found out about digital marketing, I made the bold step to quit my job because there was no time to learn. The rest, as they say, is history. Don’t get me wrong! I’m not saying you should quit your job as well but if you can dedicate few hours per day or week to learn and perfect one or more digital skills, then you are well on your way to becoming financially independent. You can start as an intern (which was what I did) and work your way up to the top from there. With digital skills, you can start your own web design, digital marketing or content writing company. The owner of Ckdigital, Mr. Charles Dairo learned web design while he was still in school. Who says you can’t own your own web design company tomorrow. Other notable founders of top digital agencies in Nigeria started by learning as well. Also, you can use digital skills like digital marketing, content writing, SEO to grow business by creating brand awareness and reaching more people. Rather than pay a large sum of money to agencies to help you grow your business, having digital skills can go a long way in helping you maximize your Return on Investment (ROI). Many Nigerians are making thousands of dollars in a month just by freelancing. The amount you make depends on the amount of time you are willing to put in. it’s now obvious that acquiring digital skills and gaining new qualifications is the key to achieving your dreams in this digital age. Those who take bold steps to learn new digital skills or to upskill themselves will be the ones to reap the benefits of long-term success. Though, all these require adequate planning, training, patience and the passion to succeed. 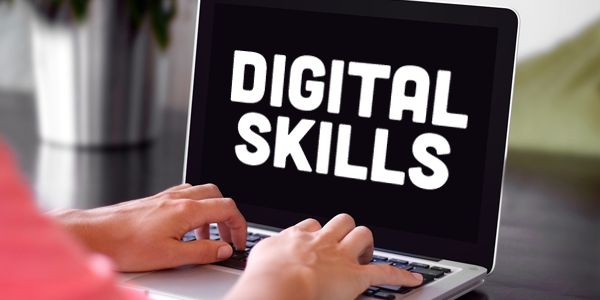 So whether you are looking to start your career, change your job, grow your business or get a promotion, failure to ignore learning digital skills can have unpleasant consequences in the long run. Start a digital skills training today and ensure you aren’t left behind.